Mondays are a grab bag of things that don't fit any other theme, or things I just have to share. 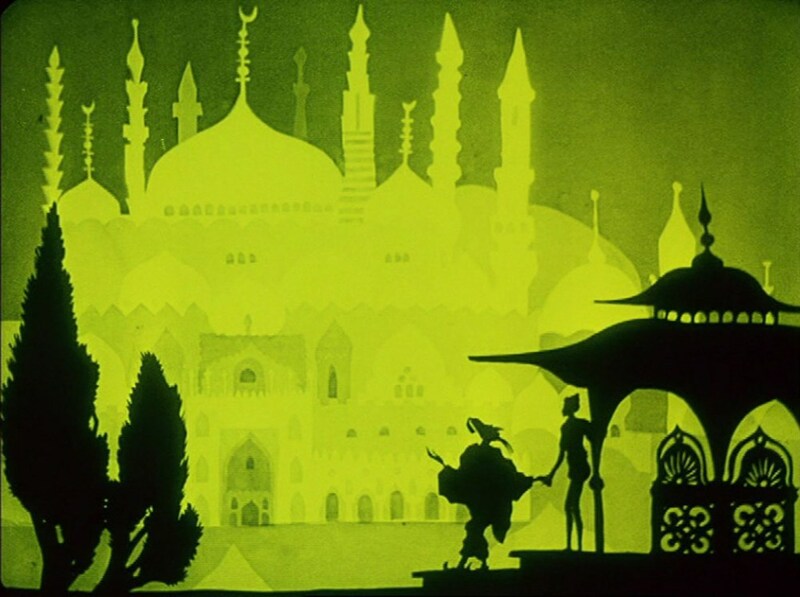 Like the movie I want to recommend today: The Adventures of Prince Achmed. It's a very old movie (1926), recently remastered and it is absolutely wonderful. The film, originally a German production, tells the tale of Prince Achmed (from the Arabian Nights fairy tales), how he flies away on a horse, he battles demons, loses his heart to a princess and, with the aid of Aladdin and a witch, saves his sister from a wicked sorcerer. Aside from the fact that is's a fairy tale (and don't we all love those? ), it is just mesemerizing. The whole movie is animated with these silhouette shapes, like the shadow puppet theatres you can find in several Asian countries (as you can see in the picture above). The animation is a bit clunky (again, it was made in 1926!) , but I think it just adds to the charm of the whole thing. And the light effects were really awesome. This is definately worth seeking out and giving a go! (Disclaimer: I did receive a copy of this book through Netgalley, but that did not influence my opinion on the book). I loved the drawings in this one, the inky blackness of the lines, combined with the watercolour colours was really pretty and impressive. 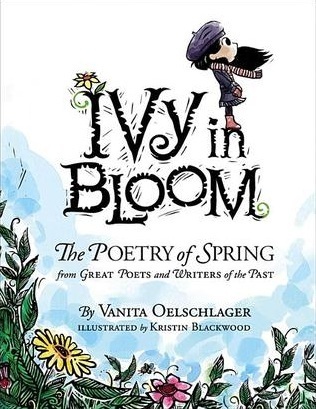 They also matched the poetry lines brilliantly, and made the whole thing into a story, instead of just selected sentences from poems. I liked the bibliography in the back, and how it was build up, although I'm inclined to say it would've been nice if the authors were identified on the page with the line and the drawing.